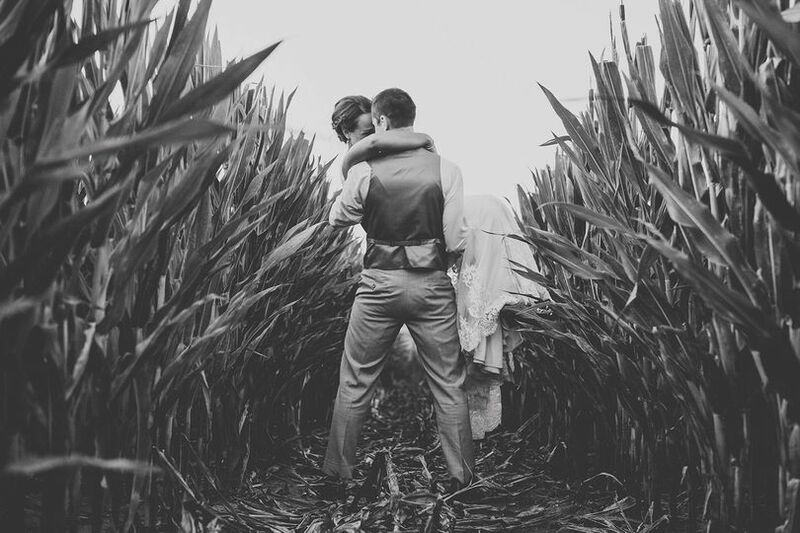 The J Weaver Barn is a vintage-style wedding venue located in Goshen, Indiana. 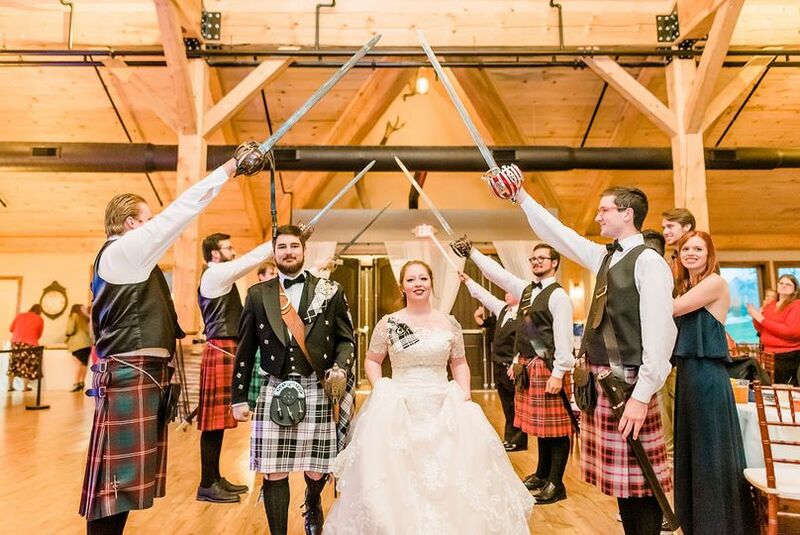 They offer multiple indoor and outdoor settings for your big day. 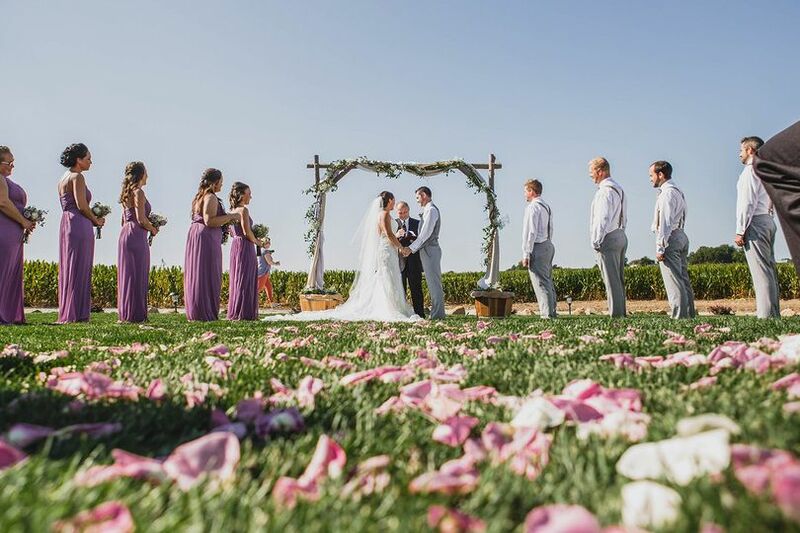 Your guests will experience gorgeous farmed fields, beautiful sunsets and a cozy barn atmosphere at this picturesque venue. 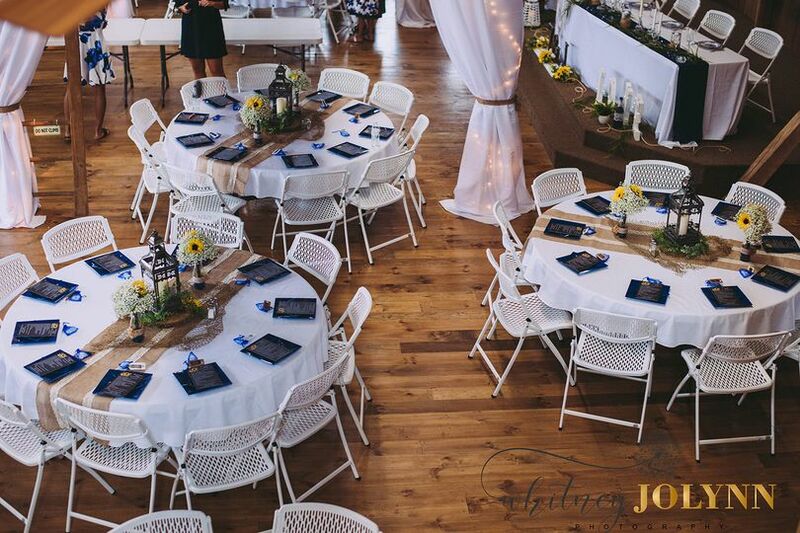 The J Weaver Barn prides themselves on their restored, 3,200-square-foot event barn and the overall relaxed feeling their property exudes. Couples can accommodate up to 220 guests at this rustic venue. 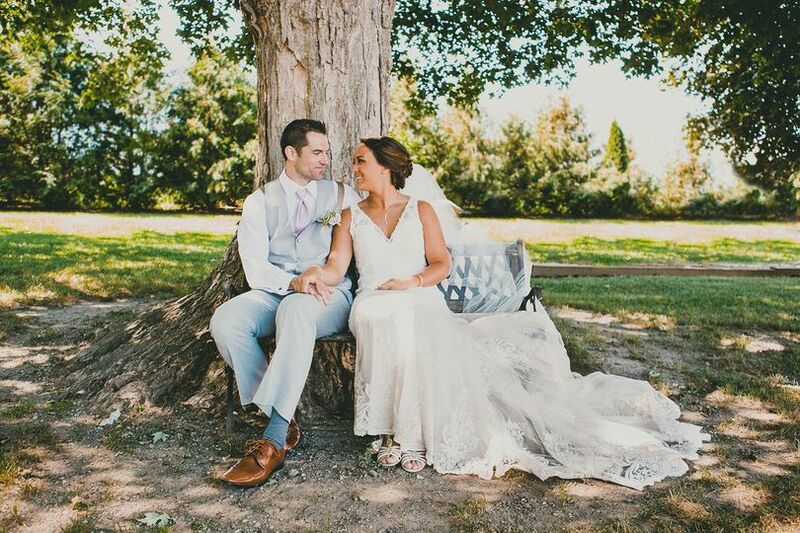 If you prefer to exchange your vows outdoors, The J Weaver Barn offers 2 romantic spots for the ceremony, one is a beautiful white gazebo on the edge of a gorgeously stunning pond and the other is a gazebo at the edge of a beautiful green lawn surrounded by a rock garden, ferns and flowers. This location offers many great photo opportunities. For your reception they offer their spacious event barn. The main level features hand-hewn beams wrapped with lights, with white linens draping over the upper beams that create a magical feel. 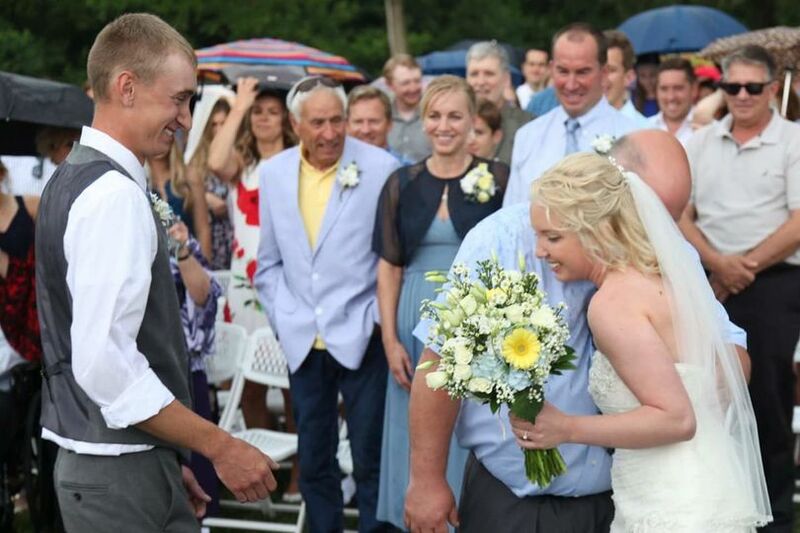 The basement of the barn is perfect for that other alternative: in case of inclement weather and you can't have your ceremony outside as planned or just because you love the rustic feel, either way, you'll have a beautiful wedding. The barn is both heated and air conditioned, making it perfect for any time of year. This full-service venue will provide vintage-style centerpieces and decor for your celebration. Sample items include vintage doors, barrels, candles, lanterns, mason jars and more. They offer parking attendants for your guests and will help you set up your event. 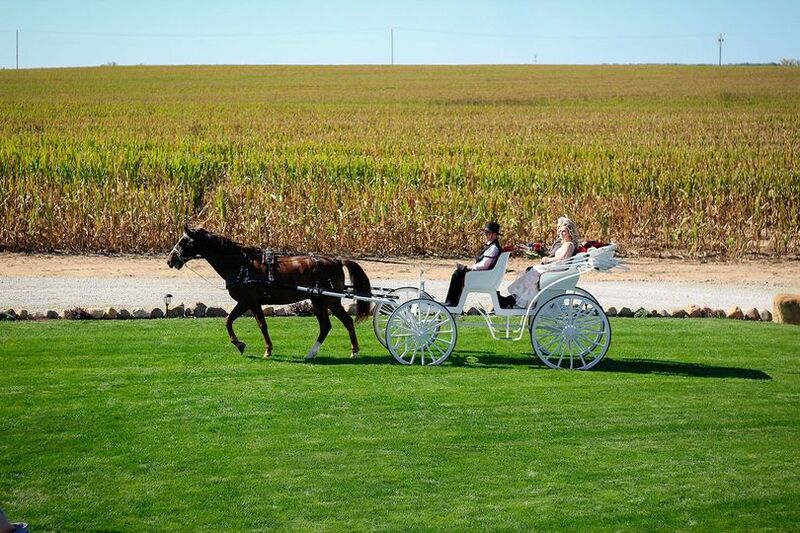 A fun add-on to you wedding package is a horse-drawn carriage ride. You can use this for a grand ceremony entrance, or for neat picture opportunities afterwards. 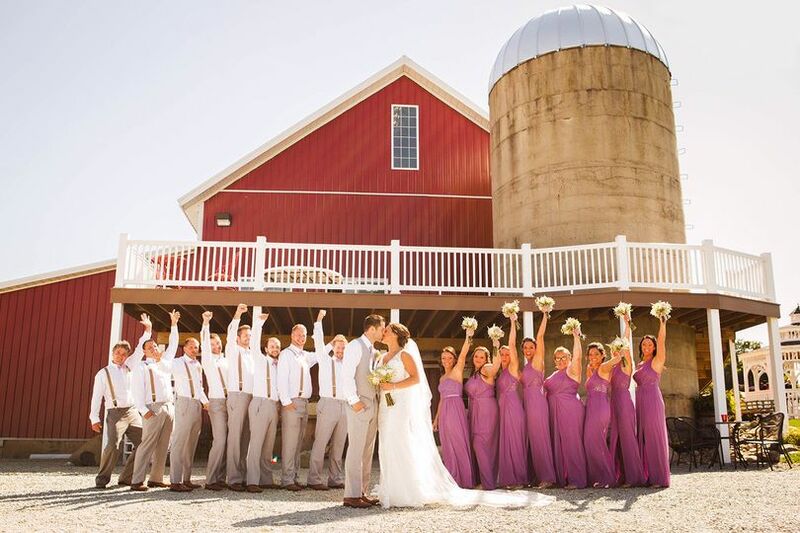 The J Weaver Barn offers a Silo that can be used for the bride and her bridal party. It features a beautiful crystal chandelier and mirrored walls, with plenty of space to get dressed. The groom and his groomsmen can start their day in the Milk House, in which there's plenty of space to relax and multiple hooks to hang tuxedos. Their final space is their newly crafted deck. 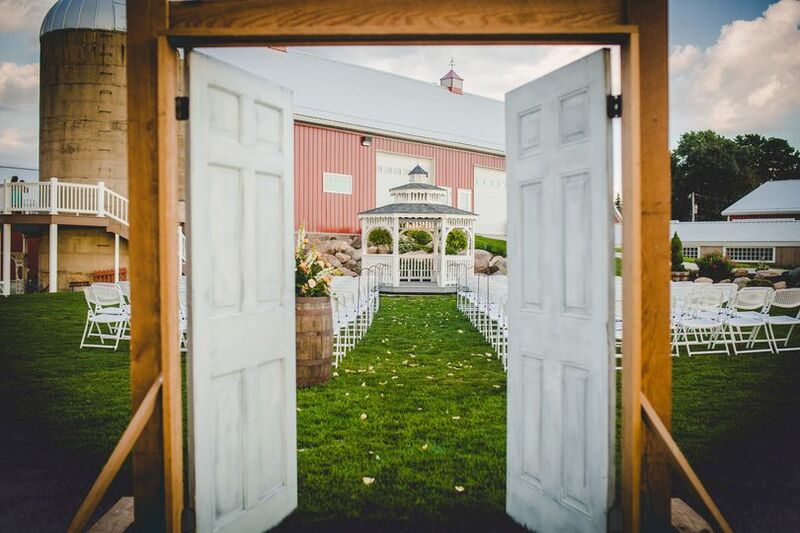 It wraps around the Silo and leads into the barn, and offers picturesque views of the farm. It can be used for a variety of things, including your cocktail hour. I have had the fortune to DJ 3 weddings at the J Weaver Barn. You will not find a harder working owner at any venue! Her goal is to make your day perfect and has attitude that says "We will make it happen." I have DJed in many barns and J Weaver is my favorite one! Plus if you are getting married in the summer it has AC. 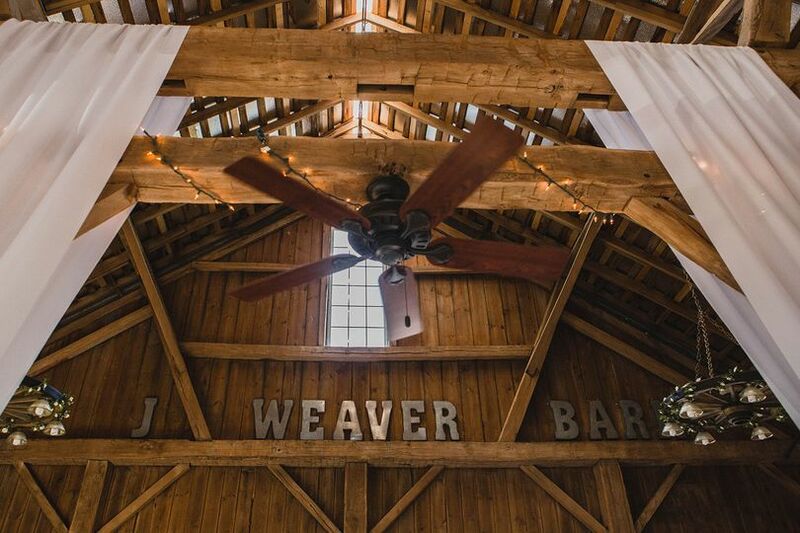 If you are looking for a barn type venue for your wedding I can promise your expectations will be exceeded by the J. Weaver Barn!